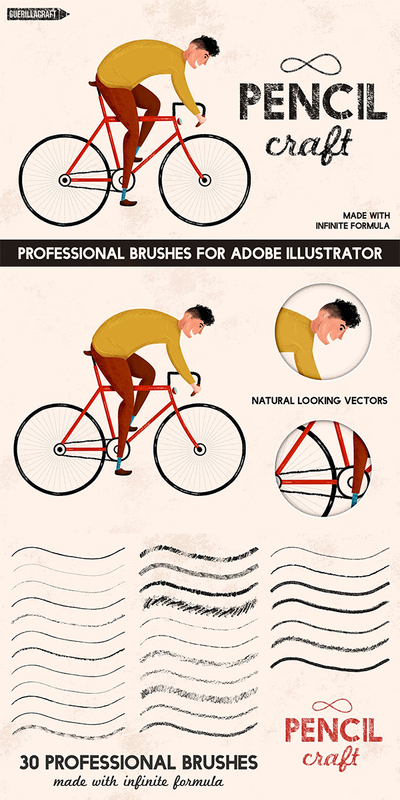 If you’r looking for high quality, super detailed and realistic brushes for Illustrator then this is the best place to download vector brushes. 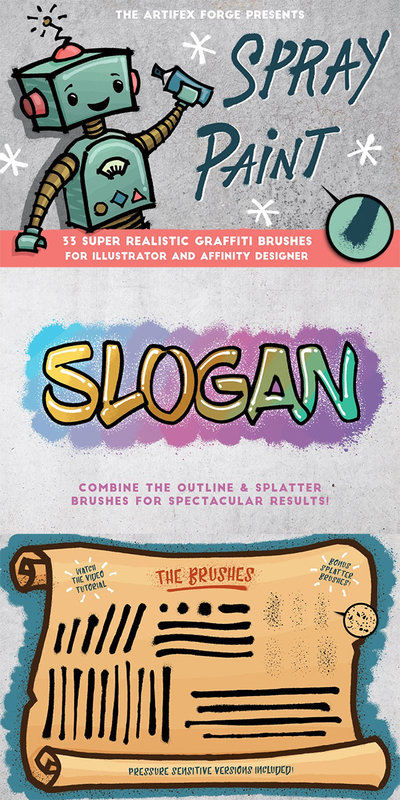 This list contains twenty one sets of brushes with tons of different style of illustrator brushes. 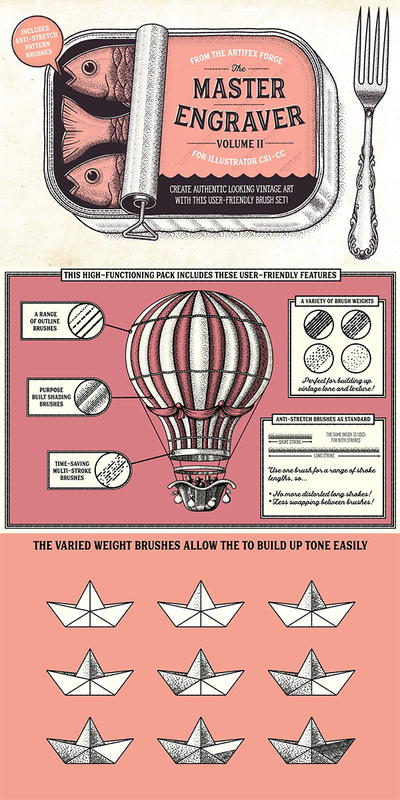 These brushes are very high-quality Hand Drawn, Watercolor Brushes for Adobe Illustrator. All brushes were hand-made. The brushes are great to use for simple black and white sketch or graphics or they can also be used to give a handcrafted feel illustrations. Vector illustrator brushes can be useful in the way it could make your work easier and have a good design result at the same time. There are different kinds of brushes which you can download for your project. 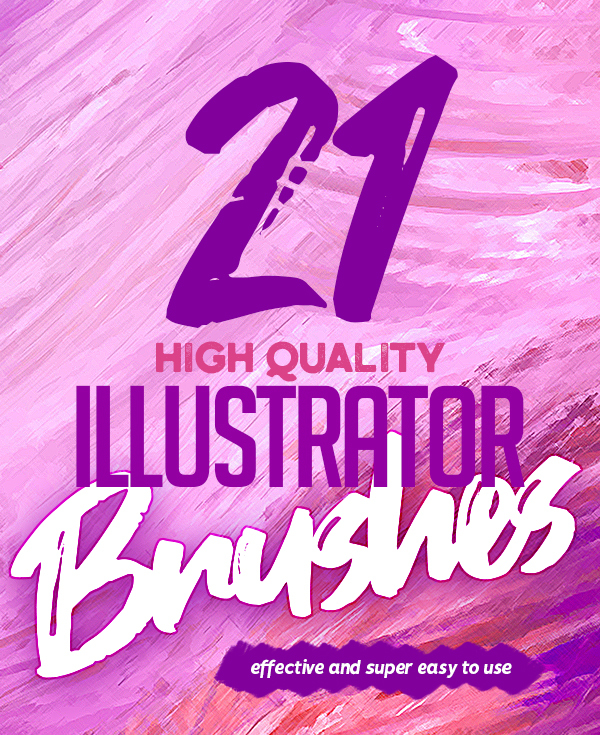 Here is the list of High Quality Illustrator Brushes. This authentic looking artist’s tool kit is the result of hours of experimentation, discovering the diverse textures that can be made using oil paint. I’ve used brushes, palette knives, cloths, scraps of cardboard and even my own fingers. The resulting brushes are the closet you’ll get to real oils in Illustrator. Hi there! Stippling is a classic method of using dots and very small dashes to create a illustration. 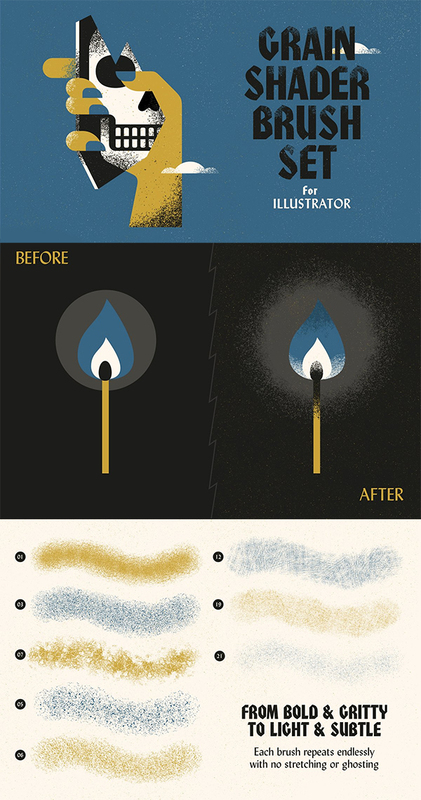 The use of different sized dots and the way they are spaced gives differing effects. 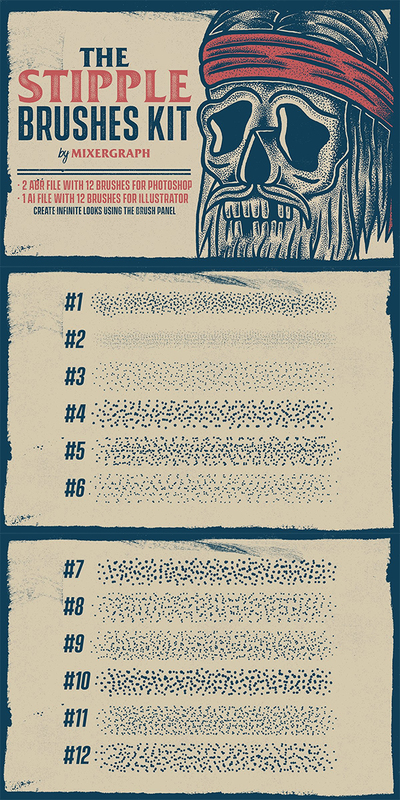 This is the brand new set of 12 high resolution and vector format stipple brushes to shade your illustrations quickly. 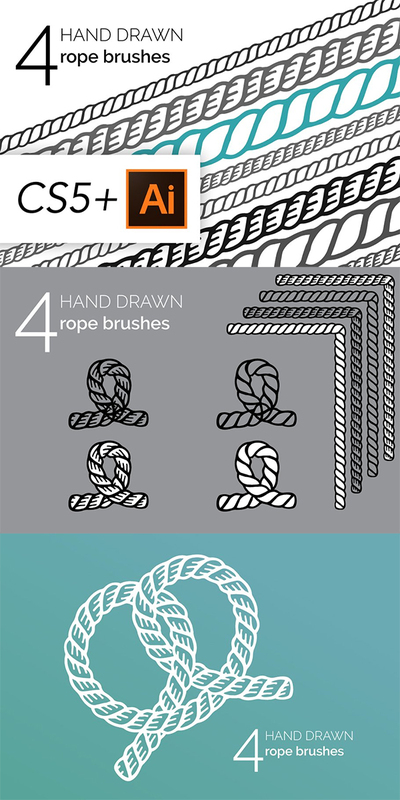 Here are some beautiful hand drawn rope brushes for Illustrator cs5 and up. 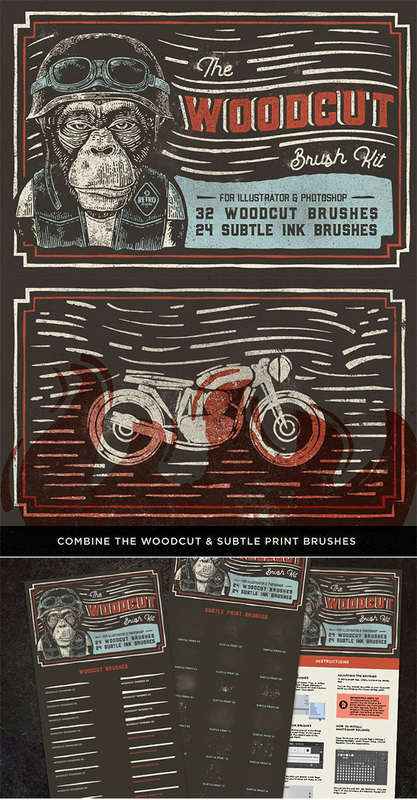 They’ll work on windows or mac, and you can use them to create retro, vintage, or tattoo style illustration. They can follow sharp corners and rounded corners perfectly. There are 2 major styles, and each come with a solid fill version and a transparent fill version. Instruction and contact information is included. I’m happy to release this bundle currently including 10 retro products for graphic designers: 340 brushes for Adobe Illustrator, 200 retro illustrations, 400 retro shapes salvaged from mid-century ads and magazines, and Capitan Pajamas graphic styles with 168 combinations – about 1100 design pieces in total. This is a set of 94 watercolor vector art brushes. 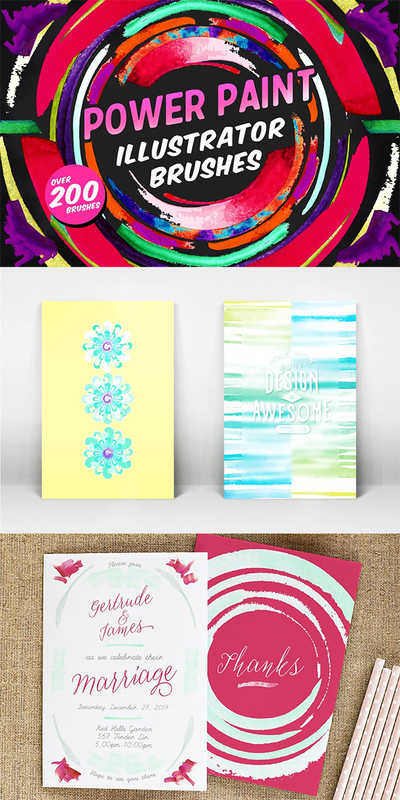 These brushes are great for abstract design, illustrations, background textures, watercolor patterns. All files are in vector format AI CS3. As a bonus i included all the illustrations that you see on the previews with work illustrator files so you can see how i use these brushes and maybe it can be helpful for you. And something more – paper texture 300 DPI also included. 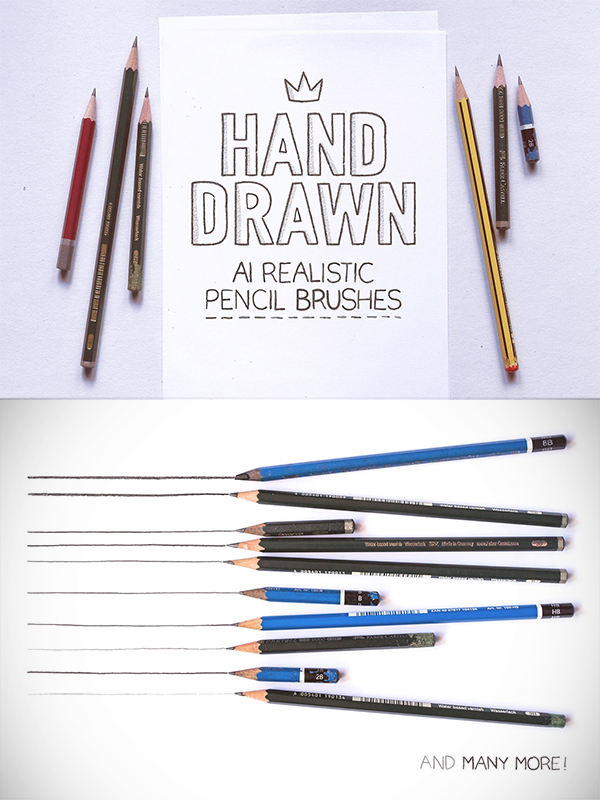 This set includes 44 hand drawn pencil sketch lines (28 – Pencil vector art brushes ,16 – Decorative pattern brushes), created using various pencil techniques. To use the brushes simply choose a brush, select the brush tool and draw. The color and width of the strokes can be adjusted easily. 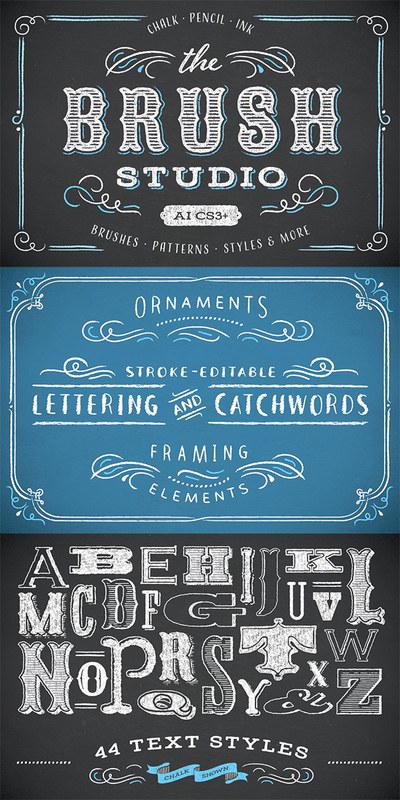 Welcome to The Brush Studio, where you’ll find a delightful variety of resources to help you create designs in Adobe Illustrator with an authentic, decorative, hand-lettered look!